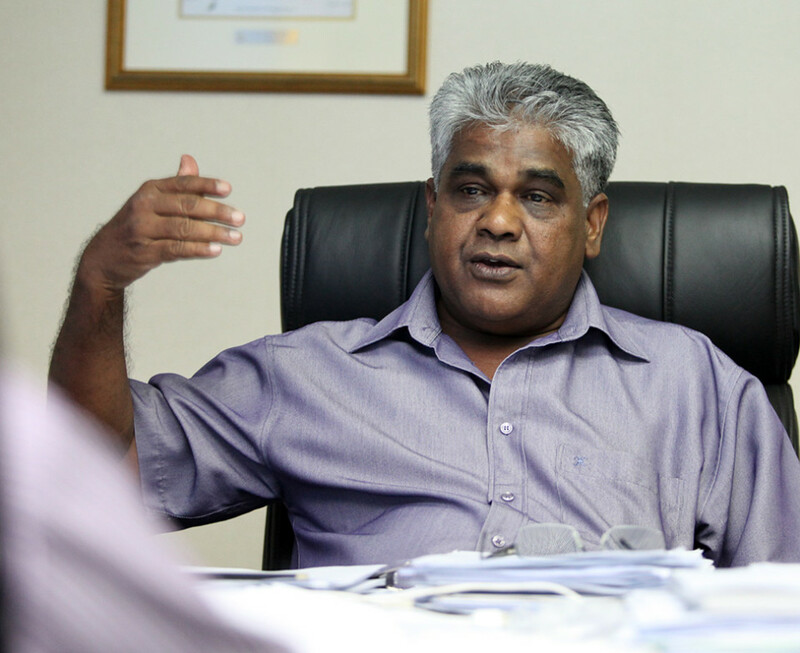 Malaysian Trade Union Congress (MTUC) verily believes that strong effective trade unions can tackle the problem of trafficking in human persons, more so when in Malaysia, the main problems is the exploitation of workers not sexual exploitation or the removal of human organs. MTUC welcomes the United Nations Special Rapporteur on Trafficking in Persons who will be in Malaysia from 23 to 28 February 2015, at the invitation of the Malaysian government. We note that Ms Joy Ngozi Ezeilo had recently indicated that she was committed to continue consulting with, amongst others, workers unions in the struggle to eliminate human trafficking. No one can fight worker exploitation and protect workers’ rights better than the workers themselves, and this can be best be done by trade unions. This Malaysian Act, as it is now, unfortunately, is lacking as it only focuses on rescue and assistance, but does not help victims access to justice and get their civil and labour law remedies including monies still owing to them by employers, compensation and other damages. The trade union movement, until 1948 was strong when more than 50% of workers were members of trade unions, was stifled or ‘busted’ through the use of laws and other means by the British Colonial government. All unions were thereafter required to apply for registration, and many failed to get registered. MTUC arises after this massive crackdown on the trade union movement in 1948, but we have never managed to regain the strength of the past in terms of membership. Today less than 5% of workers in the private sector are unionized. National independence did not bring about the restoration of trade union’s strength, and in fact there have been further restrictions placed on trade unions. Only sector of industry based national, regional or state Trade Unions were permitted to exist. Then, the government promoted the formation of in-house unions – whereby the risk is that such unions are more easily employer influenced or even controlled unlike national and regional unions. For a long time, most workers in Malaysia were generally regular employees until retirement, and almost all workers at a workplace were employees of the said workplace. With the recent change in policy in 2005, the Malaysian government allowed employers to enter agreements with third parties, now known as contractors for labour, who supplied workers that did not become employees of the workplace, now commonly known as ‘outsourced workers’. This new class of workers could not rely on the rights and protection accorded by Collective Bargaining Agreements (CBA), which are agreements between the union representing employees and the employer. This left these workers vulnerable to exploitation, and denied of the full protection that could have been provided by trade unions. ‘Contractor-based labor arrangements of this type-in which the worker may technically be employed by the recruiting company-create vulnerabilities for workers whose day-to-day employers generally are without legal responsibility for exploitative practices.’. This was also one of the observations made in the US State Department Trafficking in Persons Report 2014, which downgraded Malaysia to Tier 3 from the previous standing of Tier 2 Watch List. MTUC reiterates its position that all workers in a workplace should be employees of the workplace, with the ability to be able to enjoy the full benefits of being a union member at that workplace, including all the rights and benefits provided for in applicable CBAs. Today, in some workplaces, these class of vulnerable workers can even make up half the total workforce. MTUC reiterates its call for the abolition of the contractor for labour system. Local workers in Malaysia are today indebted, not to the employer but to financial institutions and others, by reason of home and transport loans, all of which requires monthly payments. The Malaysian government can be said to be somewhat responsible for this situation of indebtedness. Migrant workers are indebted, having expended about RM5,000 when they came to Malaysia to work. This situation of indebtedness makes workers vulnerable, and more disempowered to stand up against exploitation. Malaysia, through laws and policies, have limited the areas in an employment relationship where unions can be involved in, and also the kinds of industrial actions that unions can undertake to promote and protect worker rights. Strikes and industrial actions have been made difficult. The fact that there have been almost no strikes for past few decades is used with pride to woo foreign investors. The limited option that Unions now have is to picket and campaign – or just lodge complaints with the relevant authorities but sadly the whole process of adjudication and determining disputes takes far too long to the detriment of workers and unions. A disturbing trend of late has been a growing number of attacks by employers on union leaders and members, where disciplinary action and termination is taken for involvement in what really are legitimate union activities. Union leader issues a media statement, and he is terminated because the employer says that the issuance of such statements by an employee a misconduct. For the participation in pickets, union leaders and members end up facing disciplinary proceedings and termination. Union members have even been terminated for participation in MTUC advocacy campaign to get prospective parliamentarians to commit to the promotion and protection of worker rights. These are all legitimate union activities and should never be considered employment misconducts. It is sad that the government has chosen to be silent and do nothing yet about these acts of union busting. Wrongful dismissal cases can take years, and many workers just cannot afford to resort to this remedy. Some employers, being aware of this choose to simply terminate unionist and workers – thus effectively eliminating worker leaders, weakening unions and instilling further fear on workers who would have stood up for their rights or fight exploitation. The Malaysian government should immediately put a stop to such ‘union busting’ activities, by legislating what are employment misconducts. Union activities can never be considered employment misconducts. It must also be stressed that for the purpose of guaranteeing meaningful and effective trade union rights, the government must ensure that disproportionate penalties is never used to dissuade trade union representatives from seeking to express and defend their members’ interests. It is most sad that many of these companies that are doing this are government-linked companies (GLC) or government owned businesses. Such companies should really be setting the best example for businesses by protecting worker and trade union rights. When a Union decides to increase its membership fee, it cannot put into effect this decision until the Registrar of Trade Union approves, and many a time the Registrar does not. Unions must be given full right to amend their Constitution and Rules, and put them into effect immediately. The Registrar should only be notified, and not vested with powers to approve or disapprove decisions of the majority of members of the Union. Unions must be able to operate freely with the ability to be able to represent the best interest of workers in all matters concerning the employment relationship and working condition, including necessary actions to promote and protect worker and trade union rights. The impediments now placed on workers to use strike and industrial action as a means of struggling with employers need to be removed. If and only if, matters cannot be resolved by both parties, should the government come in to help bring along a resolution of the dispute and even then such resolution be it through mediation, arbitration or courts should be done speedily. Malaysia, like many governments today are also employers or have vested interest in businesses, but as government, it must always realise that its first duty must be to the people, of which there are now about 13 million workers. If one were to include the family and dependents of workers that would be a significant majority of the people in Malaysia. Trade unions, if liberated from the legal shackles that bind it today, can and will be an effective means to promote and protect the rights of workers, and also to end exploitation of workers and hence human trafficking in Malaysia.